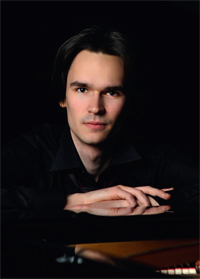 Mihkel Poll was born 1986 in Tallinn, Estonia, and began his piano studies at the age of six. He was trained by Ivari Ilja, whom he considers his greatest influence, at the Estonian Academy of Music and Theatre, and by Ronan O'Hora at the Guildhall School of Music and Drama in London. He has further taken part in master classes by, among others, Angela Hewitt, Peter Donohoe, Vera Gornostayeva, Walter Blankenheim, Erik T. Tawaststjerna and Hui-Ying Liu-Tawaststjerna. Mihkel Poll is the winner of several international piano competitions, including "Rina Sala Gallo" in Italy (2004), First Tallinn Piano Competition in Estonia (2006), and Ferrol Piano Competition in Spain (2006). Mihkel Poll has given numerous solo recital and chamber performances in Estonia, Russia, Spain, France, and Belgium, and worked with such orchestras as Latvian National Symphony Orchestra and Estonian National Symphony Orchestra. His exceptionally wide-ranging repertoire includes composers from Bach to Ligeti, whose piano concerto he has performed to great acclaim.